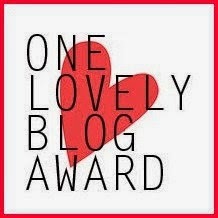 Crazy enough as it is, I feel really chuffed to get another blog award in under a week. It's lovely to get little compliments like this, and encourages me to keep blogging. Not everyone is positive with my blog. When most of my friends find out I have a blog, they have a good laugh at the silly name and take the piss. Then, once they read it, I then get a Facebook message or text from them a week later, apologising and telling me I can "actually write". 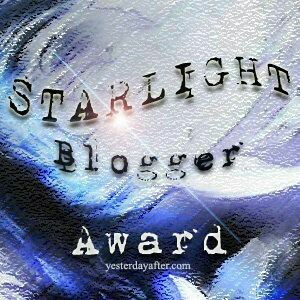 It's nice to get awards like this when others are less supportive of this blog, even though I really enjoy and care about the posts I write. 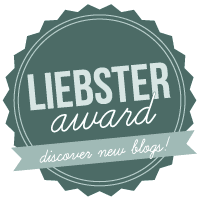 This one, the Liebster Award, is similar to the One Lovely Blog Award, in that it is set up to promote smaller blogs. 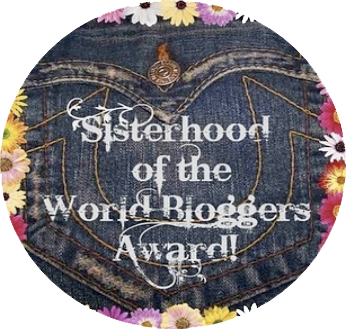 A big thanks goes out to Hannah from 'Pull Yourself Together' for nominating me. 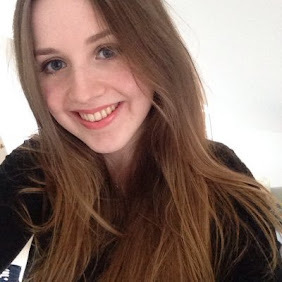 I've mentioned how much I like Hannah's blog before; if you're interested in mental health, what being a medical student is like, or fashion and beauty, you should definitely check it out. 1) Why did you set up your blog? I've actually had 3 blogs in the past. The first one I made when I was about 14, and to be honest the only post I remember making was about how disappointed I was in myself for eating a Tesco dessert that was 366 calories. This was back when I had some eating issues, and I vividly remember being questioned in a geography lesson, not by a friend, as to why I was so neurotic about one bloody dessert. Anyway, my interest has always stemmed from wanting to share my experiences with other like-minded people that would want some insight. When I was applying to study Medicine, I wanted to know as much as possible of what it would really be like from the viewpoint of medical students in the UK, so I started following medic blogs. 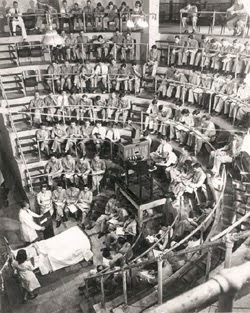 Now as a medic I feel like I want to have my say, and I only found one medic blog that started writing from year 1 of med school, so I thought it would be best to start one now. I am also having to undergo orthagnathic surgery to correct my overbite, and I wanted to document that whole process. Before I wanted to be a doctor, my dream was journalism. I still like to think maybe one day I could contribute to the BMJ or similar alongside my clinical practice. 2) What is your favourite food? That's a tricky question! If I could try to narrow it down, it would be under a pretty general term of just any Asian food. Sushi, Chinese, Thai, Lebanese, curries, I absolutely love them. I am definitely more of a savoury person than a sweet person. If I never had chocolate again I wouldn't miss it. 3) What three items would you take with you to a desert island? A LOT of SPF50 because I am very pale and burn easily, my Ray Bans and an endless supply of Asian cuisine to eat! 4)Who was the last person you received a text from, and what did it say? It was from my boyfriend apologising for our disagreement over what makes chilli spicy, very random! 5) If you could change anything in the world, what could it be? For everybody to be able to pursue their aspirations without social or financial constraints stopping them from doing it. I'm sure there are a lot of men and women who would make great doctors and would love to be at my medical school, but cannot because they are either oppressed and/or cannot afford it. 6) What is the best thing someone in your family has ever taught you? When I was in a bad mood, my parents wouldn't retaliate to my rude behaviour and would just walk away from the situation. This made me realise that arguments are pointless, nothing is gained from holding onto anger and engaging in confrontation when they can be avoided or solved in other ways. I think this is really relevant to medicine, because sometimes you can do everything for a patient and somehow you still end up in the wrong and getting an earful. Yes, you are entitled to defend yourself, but sometimes it's just easier to say sorry even when you've done nothing wrong and focus more on neutralising the tension than continuing to fuel it. 7) What's the most spontaneous thing you've ever done? I wouldn't say I was particularly spontaneous, but in Summer 2014 I booked a last minute holiday with my friends to Barcelona after my operation was cancelled. It was an amazing week and I'll never forget it. Before that, I went on a French volunteering trip on my own and enjoyed speaking proper French so very much, which has now made me committed to one day being bilingual. 8) Do you know all the words to any songs/movies/TV shows? I can rap the whole of 'Fit but you know it' by The Streets and I can quote most of the 2005 film adaption of Pride and Prejudice. Quite a contrast there! I also know pretty much every line of Audrey Hepburn's film 'My Fair Lady' because I played her role, Eliza Doolittle, when I was at school. I would say I am a quite assured person in life and don't really fear anything except heights. I suppose the most valuable parts of my life are my friends, family and education, so a life without them would be very sad indeed. 10) What would your friends and family say is the most annoying thing about you? Probably my laugh or the fact that I can just ramble on for ages! 11) Where do you see yourself in 5 years? Hopefully in the last year of my medical degree in Liverpool! I will also be considering where I want to do my FY1/FY2 jobs, which is an exciting prospect as I could change cities - a fresh new start. I don't have 11 blogs to nominate, but I would like to nominate my friend Emily who has just started her own blog on beauty and lifestyle. 1) If you could only shop for clothes in one high street store for the rest of your life, what would it be? 3) What's your fondest childhood memory? 4) If you could live anywhere in the world, where would it be and why? 6) Which season is your favourite? 7) What adjective best describes you? 8) Tea or coffee first thing in the morning? 9) What's your top beauty tip? 10) What's your favourite song right now? Moving on from the Liebster award, I've been thinking a lot about motivation. Unfortunately my migraines are still persistent which isn't helping me to prepare for my mock on Monday and my systematic review draft. I wonder what the secret to being motivated is? Is it just how much you want something? I've been trying to motivate myself a bit more, and so far what seems to be helping is knowing that the privileged position I am in is so sought-after and wonderful that it would be selfish to not seize it with both hands. I'm looking forward to a bit of relaxation this weekend, as I am coming home to have a curry for my friend's birthday and then the pub afterwards. Can't wait! I really enjoyed reading this Kate, you had some great answers! And keep going with your blog, no matter what people say. Your writing is really good and you will be helping a lot of people.